As reference for my loco, I used plans published by Al Armitage in Nov/Dec 1988 issue of the Narrow Gauge & Short Line Gazette. These plans were showing a freelance 3′ gauge 14ton T-boiler Shay, based on typical Shay-components. 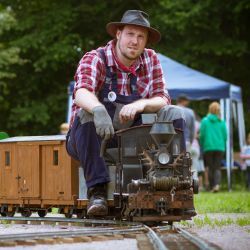 On such smaller Shay designs, the basic dimensions and proportions were mostly the same, equal for which gauge they were build, especially on gauges between 24″ and 36″. 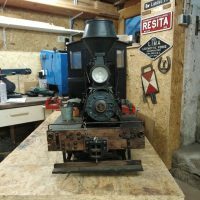 This allowed the company to use standard parts for most of their locos. 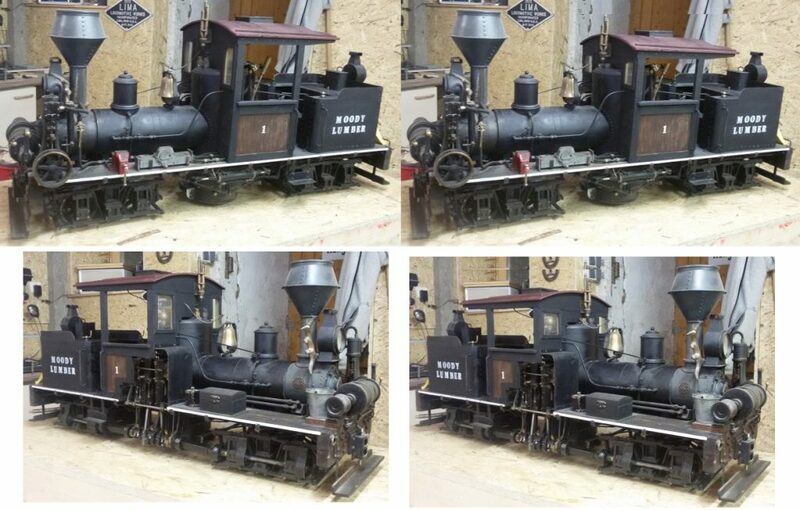 This means, a 30″-gauge loco in 1:6 scaled should have a length of frame of 125cm (49.2″). 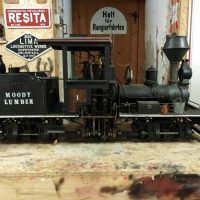 Due to different reasons, my loco was built with a frame of 100cm (39.4″) length. As I’ve long-term and deep interests in Shays, I may see proportional differences much more difficult as others. And of course, Lima in Ohio build Shays to nearly each size by customer request. But my Shay couldn’t convince me in her toy-like appearance, compared to “real” Shays. A few days ago, I got the mentioned issue of the NG&SL gazette into my hands and found the drawings. I did some measuring and calculation, until I cam to the result of “7”. Within a few micro-seconds, this result started a chain-reaction. I immediately opened an Excel sheet and entered some typical dimensions and proportions from the plan and the same from my Shay model (column MLC). 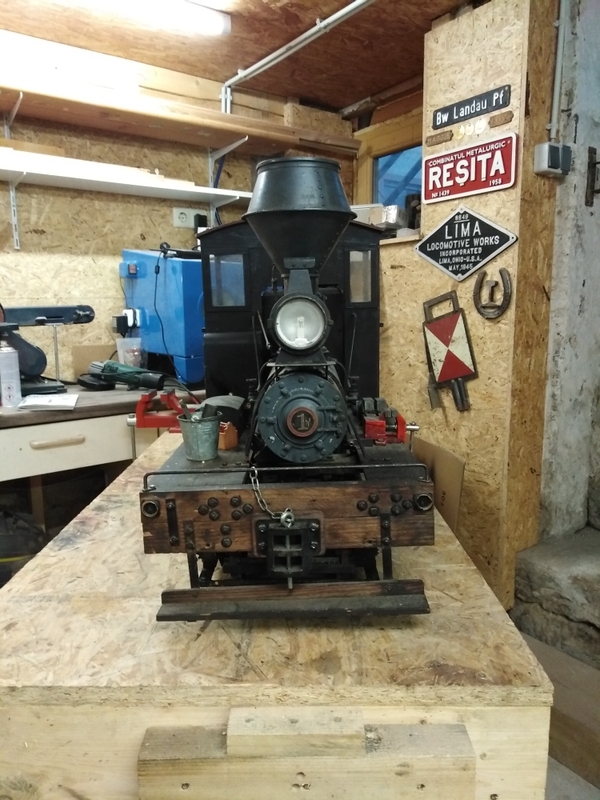 The block in the center shows the prototype dimensions related to the scale of 1:6 and Excel calculated the matching with my loco in percent. I did two columns for different tolerances (10% vs. 5%). Next I did the same (right block) but related to a model in 1:7 scale, representing a 3′-gauge prototype. The correct scale should be 1:7.2, but for the first overview, this would be enough. As the Excel shows clearly, my loco has much more common with a 1:7 scale Shay than with a 1:6 scaled Shay. 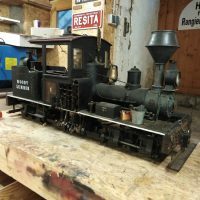 On the left, my loco as build in 1:6 scale. 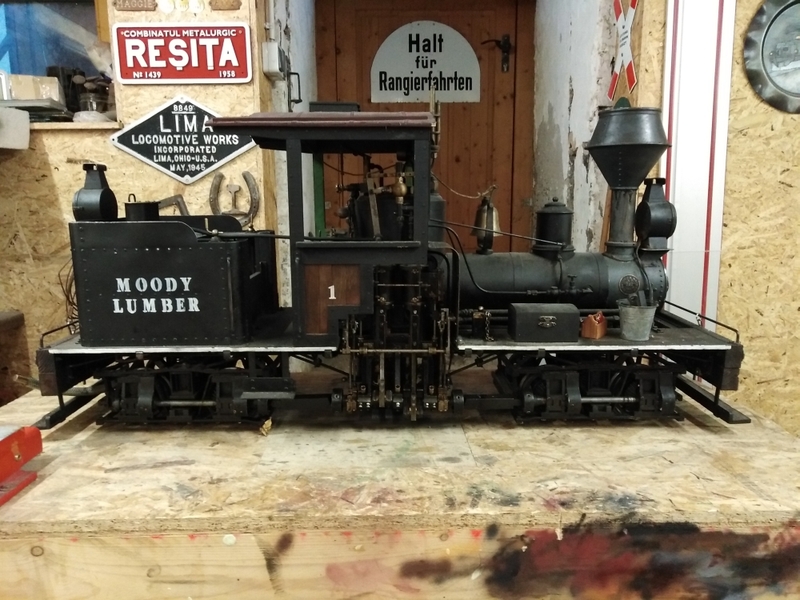 At the right the same loco with lowered cab roof to represent a 3′-gauge loco in 1:7.2 scale. 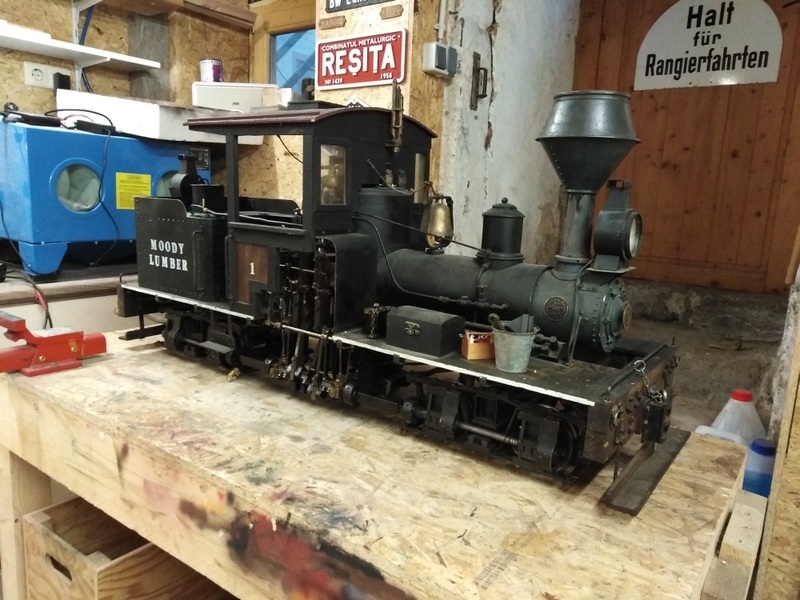 The first look might be strange for some of you, but for me, this looks exactly as a Shay should look like, which ich working hard in the woods on step grades and handling heavy log loads.